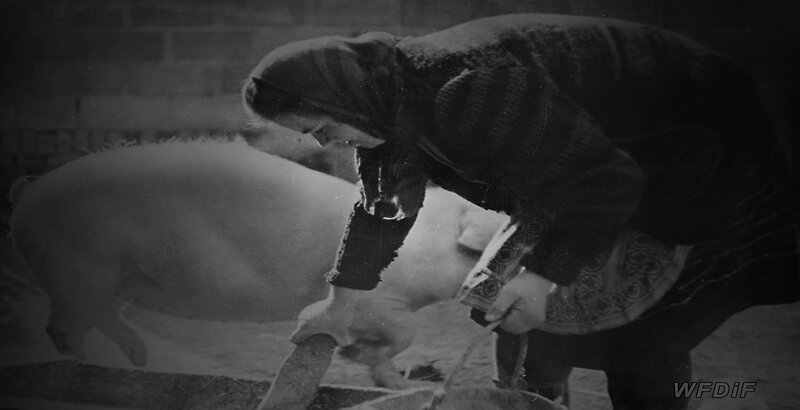 Gryczełowska shot this documentary during one of her many trips to the Polish countryside. 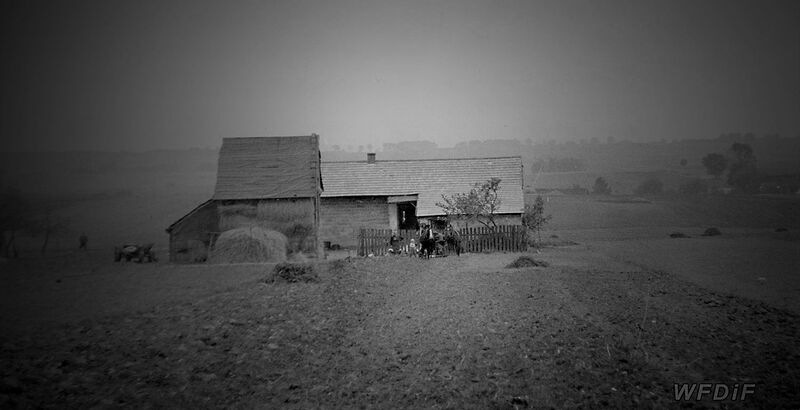 At the beginning of the film, a panoramic shot shows an endless farming landscape. 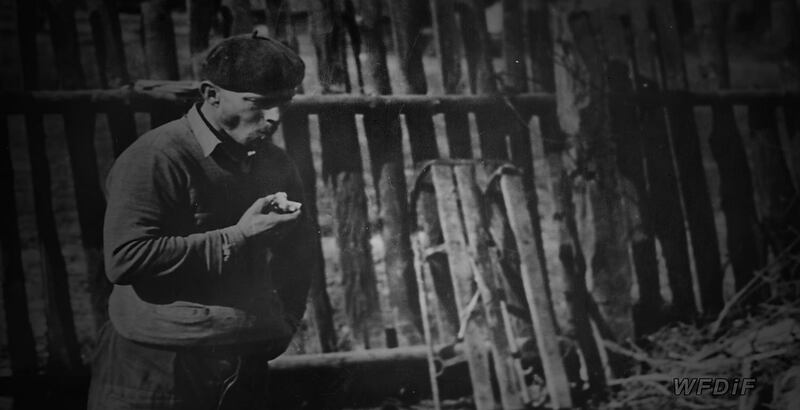 The title appears on the screen with a subheading providing more information about the main character: ‘He lives in Różnica in Jędrzejowski Powiat’. Despite its complicated and somewhat formal title, the short presents a simple but touching portrait of an overworked, yet energetic peasant. 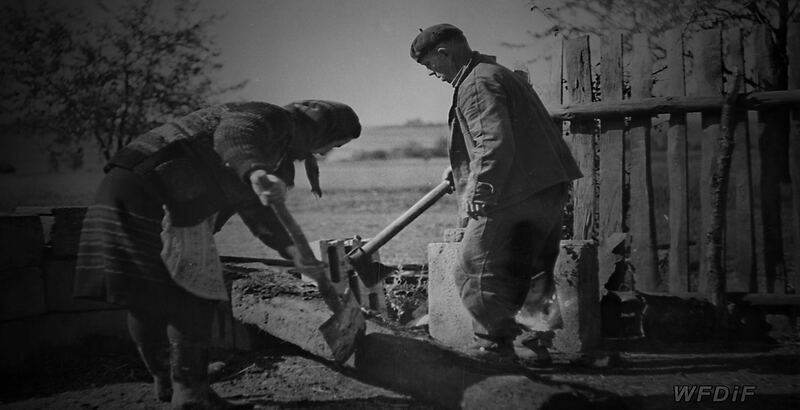 When we first meet Błażej at his farm, he is repairing a bicycle. As the camera inspects the courtyard, his voice plays offscreen. His first funny account of meeting his wife reveals his positive attitude. The opinion he has of himself makes him a likeable person. From time to time, we catch short glimpses of his wife, son, and daughter passing in the background. Although he lives in a provisional house with no running water, Błażej enjoys his life and treats it as a precious gift. Seemingly tireless, at the end of the scene in the courtyard he rides the bicycle with his son and then jokes with his children at home. Next to being kind, he is also responsible. That’s why he works on his farm and as a railway man to feed his family when farming alone cannot be profitable. 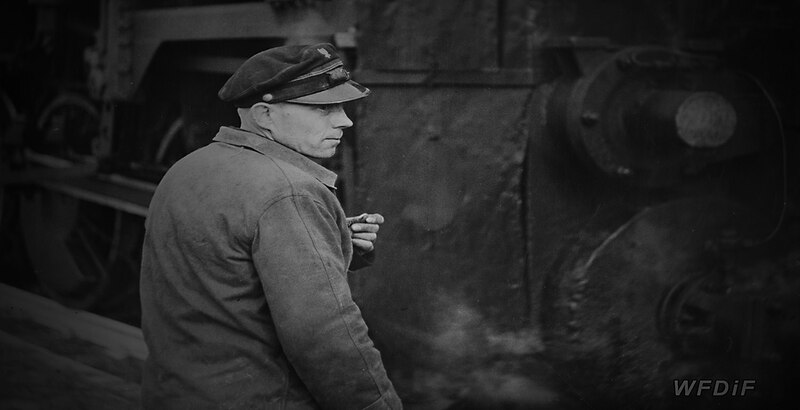 Watching further observational shots at his home, at work on the train and the farm, we listen to Błażej’s stories. What makes him special is his tremendous verve and stamina, which don’t allow him to get tired. His simple philosophy is to accept everything with patience and optimism. In the closing shot of the film we see him playing with his dog. Gryczełowska’s accommodating observational camera finds a sparkle of uplifting energy in the struggling farmer, whom she turns into an inspirational figure. Perhaps this is why in 1969 this film won the Grand Prix at the Cracow Film Festival. Here the director’s heart-warming exposition of an unwavering human drive for survival in otherwise unbearable circumstances relies on her empathy with the filmed subject. His Name is Błażej Rejdak is available on DVD with English subtitles.